Sometimes, due to the effects of aging, disease or injury, people need help managing some or all of their daily affairs.One way of helping is by establishing a guardianship. 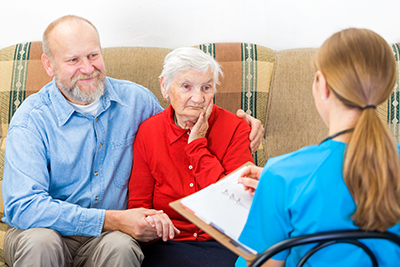 A guardianship is a relationship established by a court of law between the person who needs help, called a ward, and the person or entity named by the court to help the ward. This person or entity is known as a guardian. Some people need a guardian for their entire adult life because of a long-term disability, while others may need a guardian as a result of a brain injury or other traumatic event. Still others may need a guardian as age, physical infirmities and diseases affect their ability to provide for themselves. Since guardianship affects a person’s rights, it is important to know the implications of guardianship and explore other alternatives and choices before taking steps to have one established. Waldron & Schneider can assist with explaining the intricacies of the guardian process or alternatives available to the person in need of legal assistance. If you would like further information or would like to speak to an attorney about a possible guardianship, please complete our contact form or call our office at (281) 488-4438. Vanessa J. Solis-Maduzia is the guardianship law attorney at Waldron & Schneider who handles all of the guardianship matters and the best lawyer to advise you of your legal rights and options.